Today was Day #3 of Chocolate and Bacon Theme Week. 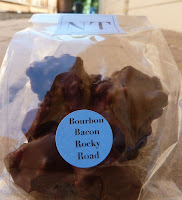 Today's chocolate choice was a creative take on rocky road -- made with delicious bits of homemade marshmallows, a hint of bourbon, Organic walnuts, small bits of real bacon, and dark chocolate. 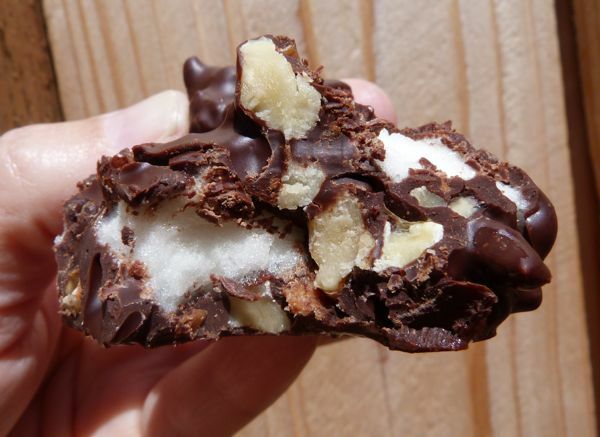 I had intended to cut this generous piece in half; but, this rocky road was gone in no time.